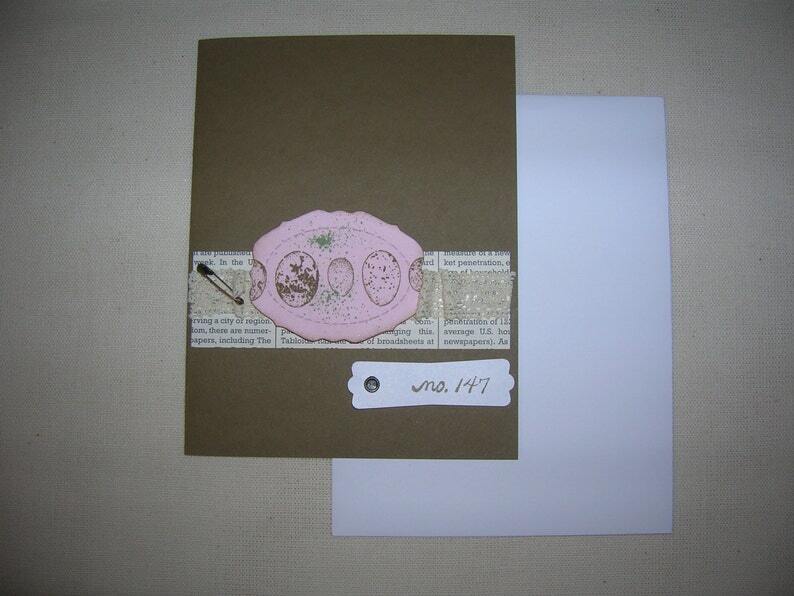 You will receive 1 handmade nature specimen card that features stamped egg, lace, and tiny trinket embellishment. Card measures 4 1/4" x 5 1/2" in size. Blank inside with white card insert to write a heartfelt message.